This map indicates where iHEA members reside by region at the time of the Boston congress of 2017. Although iHEA members are only a subset of the profession, I am going to make a strong assumption that the map is in some part reflective of the global distribution of professional health economists. The map shows that health economists like many other resources show a North-South maldistribution. On a per capita basis the maldistribution can be severe: China and India with 35% of world population together had only 100 iHEA members (7% of membership). Expressed as a ratio of iHEA members per dollar spent on health, the problem is not as severe. The North-South skew in health spending is worse than the skew of iHEA members. Australia, Europe and North America (i.e. “the North”) collectively spend $8 trillion or 90% of all of global health spending and account for only 75% of membership. The ratio of iHEA members per health dollar is thus 1 economist per $8 billion in the North and 1 economist per $0.5 billion in the South. The big problem is path dependence. The countries of the South are rapidly building the enduring institutions that will oversee the functions of their health payment system. Just this year, India announced the roll out of Ayushman Bharat- a public insurance plan for 100 million low income citizens, creating another one of the world’s largest social insurance systems. The health economics profession has a century of experience with the predictable problems of social insurance—how can India tap into this experience in system design? Who will staff this new system to deliver this expertise? India has an extremely limited pipeline to produce professional health economists so it is unclear where India will find the future generation of health economists needed for the predictable tasks of maintaining solvency, and optimizing policies? Like India, countries throughout Asia, Africa, and Latin America are building institutions to expand financial protection that require basic principles in health economics. Subcommittee with input from the Early Career Research SIG. Although many iHEA members who seek mentoring will come from the North, many will also come from the South. Board members and many established economists have already expressed interest in serving as mentors and we will soon begin the process of matching mentors and mentees. In coming decades, I am confident that the map will change as governments, corporations, and NGOs around the world realize the value of our profession in improving health, health equity, and efficiency. Until then, iHEA will make up for the need through the generosity of members who are committed to the profession and the shared development of the next generation. iHEA members are a global treasure and they are now lighting up the world. The elections for three member-elected Board Director positions closed yesterday. Twenty-seven percent of iHEA members voted in the election. Eight candidates stood for three Board Director positions: Christopher ‘Kitt’ Carpenter; Meltem Daysal; Emma Frew; Manoj Mohanan; Maia Platt; Jennifer Prah Ruger; Sally Stearns; and Virginia Wiseman. Given the relatively large number of candidates standing for the member-elected Board Director positions, the Board decided that it would be most appropriate to use what is known as the “instant-runoff-voting” system, which allowed members to rank their preferences for candidates, in this case from 1 to 8. In terms of this voting system, the person with the least “rank 1” votes is removed from consideration and their votes are distributed to the remaining candidates according to the “rank 2” preference. This process is repeated until there are only three candidates remaining, who are declared the winners. 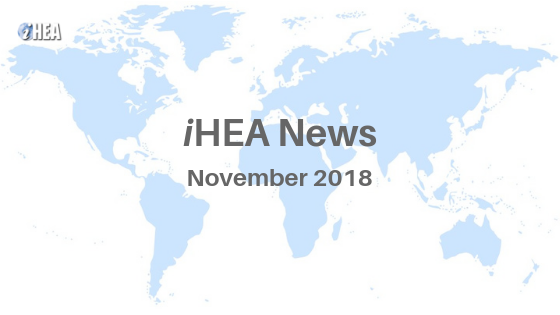 In parallel to the elections, to implement the governance changes introduced through the revised iHEA Bylaws adopted in July 2017, regional and large national health economics associations were approached to nominate Board Directors. The Board would like to thank all of those who were willing to stand for election, and all iHEA members who took the time to vote in the elections. The International Health Economics Association has already received many submissions for the 2019 iHEA World Congress! Take advantage of this opportunity to engage with health economists from around the world in pre-congress sessions before the 2019 iHEA World Congress in Basel. (Acceptance of proposals may close before, space will be allocated on a first come, first served basis). Four pre-congress sessions already confirmed! *Some of Which you can also submit abstracts to. to provide a forum for ECRs to present their research and receive detailed feedback from both their peers and also senior researchers in their field. This half-day session will explore different approaches to integration of vertical HIV, TB and FP programs in several Asian and African countries. It considers how integration plans must navigate the regulatory environment, potentially revise procurement and supply chain approaches, and employ strategic purchasing mechanisms to ensure quality outcomes while achieving efficiency gains. This full day session, organized by the Economics of Obesity Special Interest Group, will provide a platform for economists to collaborate, network and share experiences with obesity research. Our aim is to support PhD students and early-career researchers with providing an opportunity to present, and receive feedback on their obesity research; alongside sharing different country experiences and understanding what lessons can be learned by sharing methods and findings. There will also be a session devoted to discussing methodological challenges common within obesity research. This half-day session is organized by the Teaching Health Economics Special Interest Group. The first part of the session will include four presentations providing examples of health economics teaching innovations. The second part will be a workshop facilitated by Dr Jill Herndon on active learning methods. iHEA will be represented at the American Economic Association Annual meeting at the Atlanta Marriott Marquis (Atlanta, GA), January 4-6, 2019. iHEA will be hosting two organized sessions and co-hosting a reception with the American Society of Health Economists. We will be presenting our prestigious Arrow Award during this reception, so we encourage everyone to attend! Details of the iHEA organized sessions and other health economics sessions organized by ASHEcon and HERO can be found here. The third interview of this series is with Paul Mitchell. 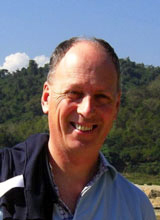 Paul is a Research Fellow in Health Economics at the University of Bristol. Prior to joining the University of Bristol, he held research positions at the University of Birmingham and King’s College London. Paul is currently working on a project titled ‘Capability across the life course’, and his work more generally considers the measurement and valuation of intangibles. Angela Esi Micah and James Buchanan, two of the conveners of the ECR-SIG, spoke to Paul in October 2018 to discuss his pathway to becoming an established ECR. 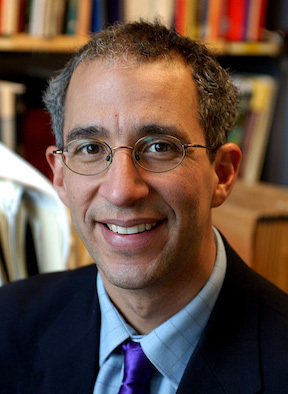 Professor Allen Goodman of Wayne State University, who is one of the conveners of iHEA's THE SIG, has been invited to serve on the AEA Committee on Economic Education for the period 2019-2021. This is a standing committee of the American Economic Association and its mission is to improve the quality of economics education at all levels. This provides an important opportunity to profile health economics teaching issues and to draw on experience in other economics fields and the economics discipline overall in promoting quality education. His appointment to this committee acknowledges Prof. Goodman’s important contributions in promoting the sharing of health economics teaching methods and resources, particularly through organizing pre-congress sessions on health economics teaching at iHEA congresses. Less than two weeks left to submit abstracts for the 2019 iHEA congress !! We encourage everyone interested in health economics teaching issues to submit an abstract for the 2019 iHEA World Congress, to be held in Basel Switzerland (13-17 July) before the abstract submission deadline of December 10, 2018. Teaching Health Economics is now officially included in the list of health economics fields, under the broad field of "New Developments in Methodology". Given the recognized capacity shortfall in health economics expertise globally, there is a need not only to increase the number of health economists being trained but also to ensure that courses are of high quality and relevant to address health system needs in different contexts. We encourage abstract submissions that illustrate innovative ways of increasing the reach of health economics teaching programs, using research outputs to enhance the teaching of applied health economics, and teaching that promotes the application of health economics analysis to addressing priority health policy issues. Allen Goodman, on behalf of the THE SIG, has organized a half-day pre-congress event for the 2019 iHEA congress in Basel, to be held on the morning of Sunday, July 14, which will have two sessions. Session 1: The Practice of Teaching of Health Economics – Methods, Experiments, Databases, and Distance Learning. Facilitator: Dr. Jill B. Herndon, The University of Florida. This “hands-on” session presents “active learning” methods in international contexts. After a short introduction, Dr. Herndon facilitates and interacts with small groups to promote active learning methods for health economics teaching and learning. Dr. Herndon led a similar (but shorter session) at the 2018 ASHEcon conference in Atlanta. She has agreed to lead a similar workshop with a more international focus at the 2019 iHEA Congress. Studies have been showing that participation in physical activity creates various benefits to the individuals and the society. As shown in a growing body of literature, it improves individuals' labor market outcomes (Lechner and Sari 2015), health and wellbeing (Humphreys, McLeod, Ruseski 2014) and it decreases the utilization of healthcare services (Keeler et al. 1989; Sari 2009; Sari 2010; Sari 2014). In addition to its positive effects for adults, physical activity and healthy eating provide a number of health benefits for children of all ages (Keon 2009). Earlier research suggests that the early years is a critical period to establish physical activity and healthy eating patterns (Ward 2010). Despite the benefits of physical activity and healthy eating, Canadian children at this age group are not meeting the recommended daily physical activity level, and their diets are often high in processed foods with excess fat and sugar (Pabayo et al 2012). Healthy Start-Départ Santé (HS-DS) is an intervention developed for early years children to promote and engage them in physical activity and healthy eating (Bélanger et al 2016). HS-DS targets pre-school (aged 3 to 5 years) children attending licensed early childcare centers, and was implemented in early learning (EL) centers across Saskatchewan and New Brunswick. Among all licensed EL centers in both provinces in Canada, HS-DS included only those centers that had not participated in a physical activity or healthy eating intervention of similar nature in the past. The centers were recruited, and confirmation and consent were received from the directors of the centers. Following the recruitment, participating EL centers were randomly assigned to intervention and control groups. After the random assignment, the intervention was implemented at each intervention center for 6 to 8 months. There were three mutually exclusive rounds of implementation that occurred in 2013-14, 2014-15 and 2015-16 school years. The goal of the HS-DS is to encourage families and EL educators to integrate physical activity and healthy eating in children’s daily lives. The intervention focused on incorporating activities for children to engage in and learn about physical activity and healthy eating. It was designed to provide a step-by-step implementation using an implementation manual. As an important component of the intervention, EL educators were trained to use the implementation manual and fully implement the intervention in their centers. During the training, educators received the necessary equipment and materials. The training was offered on site as an evening, or weekend session. Following the initial training sessions, ongoing support and follow up meetings to EL educators and directors were provided (Bélanger et al 2016; Sari et al. 2017). For each year of the HS-DS implementation, the research team collected data from the children at intervention and control centers regarding their demographic characteristics, physical activity and literacy, diet and nutrition. While the data analysis to estimate the impact of this intervention on children’s participation in physical activity and healthy eating is still being analysed, the project has estimated that the annual cost of the intervention per child is around $285 CAD (Sari et al. 2017). Having learned from the initial implementation during the period of 2013-2016, province-wide implementation of HS-DS is currently underway. Health Results-based Financing at the World Bank - What have we learned so far about Effects, Equity, and Spillovers? *Check your time zone here. Pay for Performance approaches have attracted increasing attention as an option for improving coverage and health outcomes while improving the health system. In an effort to support a promising intervention strategy and to investigate the range of its effects, the World Bank and donors created the Health Results Innovation Trust Fund with a portfolio of evaluations of Results-based Financing in 30 countries. This year on UHC Day we explore the results from the first seven completed impact evaluations to look at the evidence on health coverage, quality of care, equity effects, and spillover effects of Results Based Financing looking at the health portfolio of the World Bank. For those unable to attend, the webinar will be recorded and posted afterwards. Find Your Colleagues to Connect with on SociaLink! !